A simply but visually arresting arrangement.. 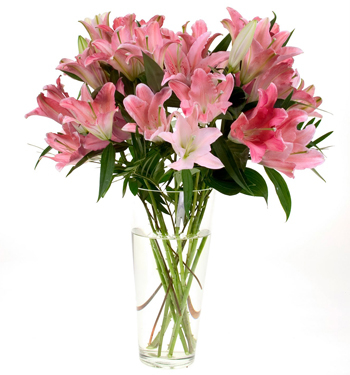 Dozen Oriental lilies are set aloft in a tall clear vase. Pink (as shown) White *This arrangement is an excellent choice for the service and / or the home. Approximate size: 27’H x 23”W.